During the award ceremony for the Octavio Paz International Poetry and Essay Prize, President Felipe Calderón confirmed his total commitment to the free expression of ideas. “The days when government’s opinion was the only one that counted are long gone. 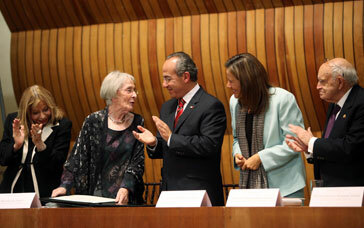 Nowadays all voices, particularly the voices of science, intellectuals and humanists are crucial for Mexico,” he said.